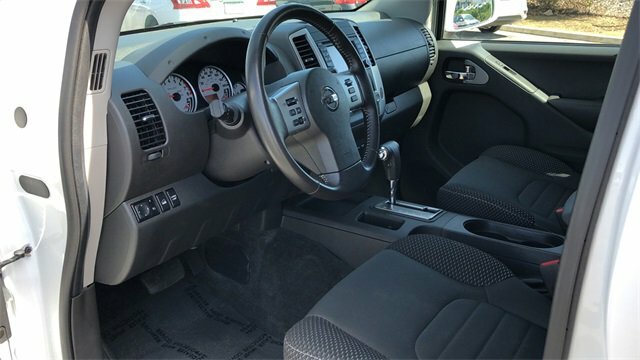 2018 Nissan Frontier for sale in Temecula, Menifee, Beaumont & Moreno Valley, CA 1N6AD0EVXJN760614 - Pedder Nissan. Recent Arrival! CARFAX One-Owner. Clean CARFAX. Certified. Glacier White 2018 Nissan Frontier PRO 4WD 5-Speed Automatic with Overdrive 4.0L V6 DOHC Frontier PRO, 4D Crew Cab, 4.0L V6 DOHC, 5-Speed Automatic with Overdrive, 4WD, Glacier White. Nissan Certified Pre-Owned Details: * Transferable Warranty (between private parties) * Warranty Deductible: $50 * Vehicle History * Roadside Assistance * 167 Point Inspection * Includes Car Rental and Trip Interruption Reimbursement * Limited Warranty: 84 Month/100,000 Mile (whichever comes first) from original in-service date We have many different makes and models available including a wide selection of cars, trucks, vans, and SUV's. Raceway Nissan auto group has access to thousands of new and used vehicles which means we can find the right vehicle FOR YOU.